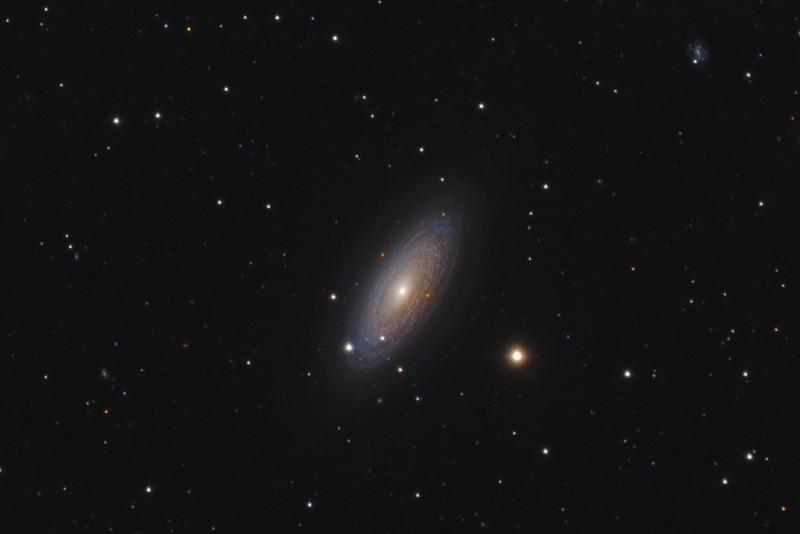 NGC 2841 is a large flocculent galaxy that is over 150,000 light years in diameter. At a distance of "only" 46 million light years, the galaxy is a relatively nearby neighbor of ours. 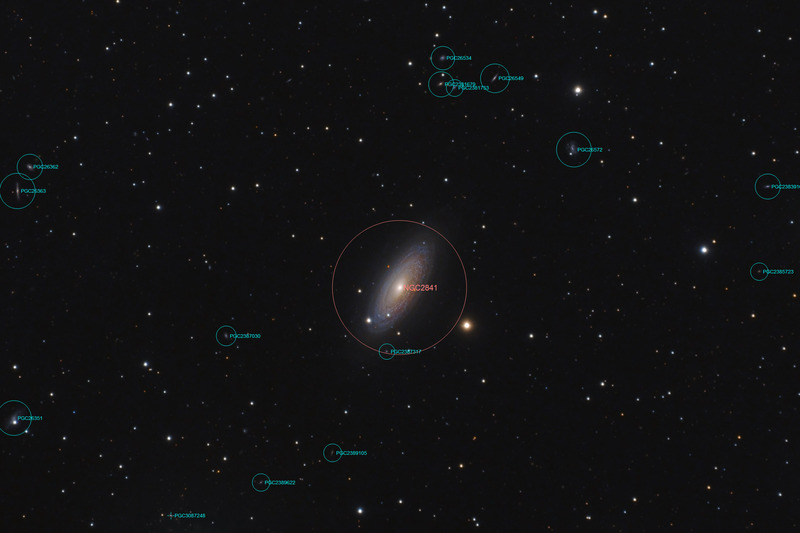 NGC 2841 exhibits some unusual galactic features including a decoupled nucleus and a polar ring. These oddities are believed to be the result of an earlier merger with a smaller galaxy. In the upper right of this astrophoto is the background galaxy PGC 26572. In addition to a multitude of smaller background galaxies, the wider field version of this image shows about a dozen more PGC galaxies (as identified in the annotated version). In this image, North is down. This image is cropped to 39% of the original full frame. This image was published by Astronomy Magazine as its Picture of the Day for September 15, 2017! And, then it was published again by Astronomy Magazine for it's Picture of the Day for October 12, 2017!